It is said that Irish are lucky people. Does the luck also apply to Irish slots in online casinos? Or would we rather say – sucking diesel. Irish Luck On Irish Slots? 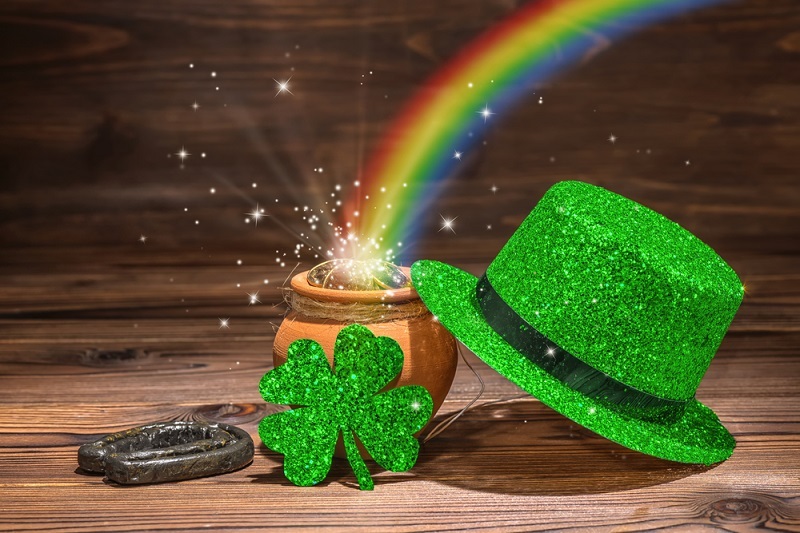 Most frequent gamblers have either heard of or used the term ‘luck of the Irish.’ The queer expression began in the 19th century when many Irish-Americans discovered gold and silver fortunes. Have you ever tried your luck on an Irish slot? They come with exciting gameplay and huge payouts. The Irish are well known for a lot of interesting things like high beer consumption, the origins of Halloween and the term ‘boycott.’ We also know the small island nation for the world’s oldest yacht and the second largest harbour in the world. Here are some of the best Irish slots to play in online casinos. This is the sad story about a chap who ends up in hell. Will you join him to the hades? Leprechaun Goes To Hell is a 5-reel, 3-row and 25-payline online slot with a hell theme. Play n’ GO have designed this game with a fiery background and a sharp-looking frame. High-value symbols include the head of the devil’s pitchfork, a pentagram, an unpleasant green portion and a top-hat accessorised with tiny bones. Lower value symbols are card numbers 10, J, Q, K and A. The wild symbols are Leprechaun and Evilene and can substitute other symbols to form a winning combination. Land either and win a 2x multiplier. Survive the rages of hell and trigger amazing bonus features. Land 3 Evilene symbols and receive ten free spins. There is a thermometer which rises every time you win. Play regularly and get a chance to win the progressive jackpot. NextGen’s Irish Eyes will take you to the green landscapes and blue skies of Ireland. Irish Eyes is the perfect game if you want to see the summer-side of Ireland. Irish Eyes is a 5-reel, 3-row and 25 payline online slots with lots of colours and Irish clichés for symbols. A few rounds playing this game and you will be familiar with Irish terms. Other symbols include a lovely redhead with a glaring stare, a four-leaf clover, a bright rainbow, a large, shiny pot of gold and a mischievous-looking Leprechaun. Traditional cards 9, 10, A, K, J and Q are the lower value symbols. The above slot comes with all you need to get into the spinning mood. If you like Irish music, this is quite a hatchet. Land the wild symbol and win a thrilling 10, 000 coin Jackpot. If you get an Irish Beauty scatter, you receive free spins and more scatter symbols. Pot O’ Luck is a popular Irish slot with an impressive green and gold design. Play this 5-reel and 20 payline slot for a chance to win huge bonuses and free spins. The game comes with 2 standard symbols; the Pots O Luck logo and a Golden Horseshoe. While the logo pays 20, 40 and 200 coins, the horseshoe grants you 200, 400 and 1000. Land 4 or 5 shamrock scatters to trigger a surprise bonus feature. If you land a caravan symbol, you get a spin which can trigger 7 more spins. In the bonus feature, bronze, silver and gold symbols spin to offer you up to 10x multiplier on your stake. Land 3 pots of gold and you win the progressive jackpot prize. In conclusion, there are many Irish games on online casinos. Do not be surprised to find more than one Irish slot called Lucky.